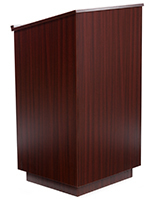 This full size podium with raised top offers stylish design and utilitarian construction, making it a great choice for shared or public use. 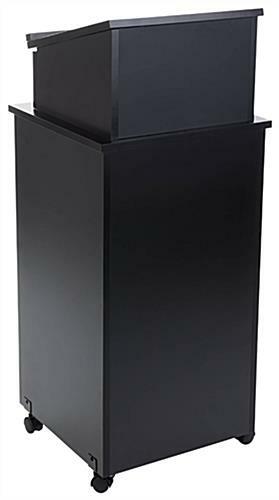 Each black finish MDF lectern has a lifted reading surface with lockable storage underneath. 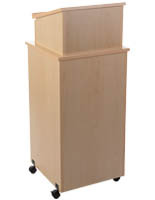 This 44" tall podium with raised, locking top features a slanted design with 0.75" book stop to help keep books, notes, tablets, and speech or presentation materials in place. 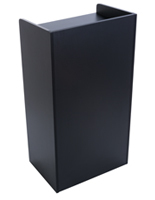 This type of sturdy, portable fixture is ideal for use as a host or hostess station in lobbies and restaurant entrances, as well as in auditoriums, classrooms, offices, and conference facilities. 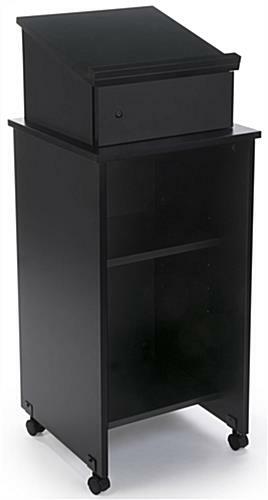 This stylish black podium with raised top and adjustable height interior shelf offers open access to rear storage space for accessories, menus, lecture notes, presentation materials, and personal items. 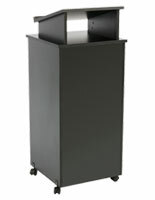 This versatile, portable fixture has four sturdy caster wheels, two of which lock for maximum stability during use. 18.0" x 44.0" x 17.5"
We used in a small reception area in salon. 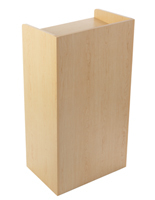 Great storage,and use for our appointment book and checkout. 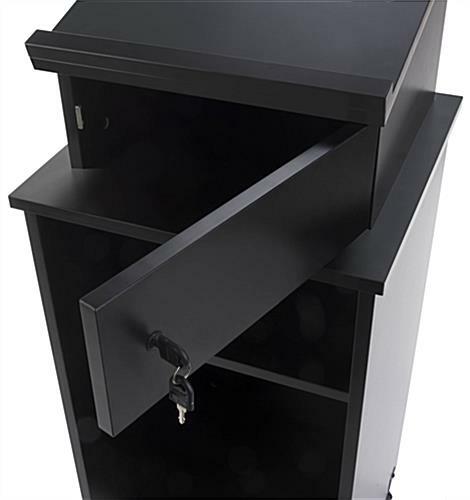 The locked storage is a plus, could use a little cut out to get door open easier, but other then that its great. 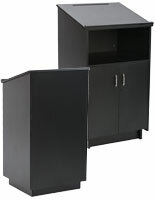 Went together easily, all straight and very sturdy. Would definitely recommend. We have gotton alot of complements to our new addition.